The perfect destination for friends and family. 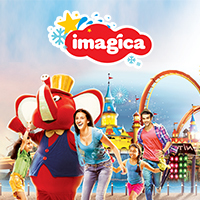 With thrilling indoor and outdoor roller coasters, several of India's first thematic shows & attractions, a Grand Imagica Parade, and more, Imagica Theme Park has it all. With rides for the tiny tots, themed attractions for the complete family, and thrill rides challenging even the most adventurous, we've got it all. You can experience free-fall with world-class water slides, our new Bollywood Park and illusion-styled Park, delicious food, and stay the night at our on-premise hotel. UNLIMITED FUN, ONE AWESOME DESTINATION. India's happiest indoor Snow Park. 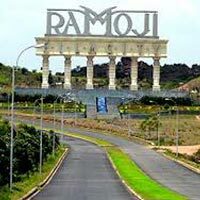 India's first 3D + Augmented Reality (AR) Park. Explore amazing, unique visual illusions, perfect for the entire family. Eyelusion brings illusions and AR experiences front and center..